Increasing economic ties between China and Pakistan are not taking into consideration the needs and wishes of the people of Gilgit Baltistan, bringing Chinese firms operating in the area into conflict with the local people. 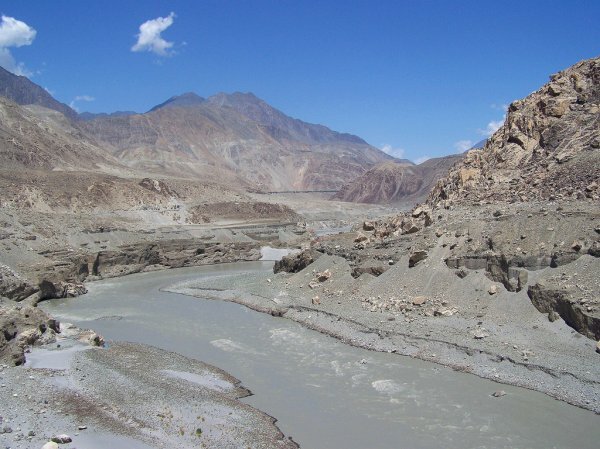 The lack of representation of Gilgit Baltistan on the terms and nature of economic activity taking place on its territory is leading to environmental degradation and a lack of a Chinese contribution to regional development. With large outcry in Pakistan against recent Palestinian killings, one wonders at the nation’s pronounced silence on the continued Uighur genocide in China’s restive Xinjiang Province (East Turkestan). This absence of protest by Pakistan on Muslim oppression in China is not without reason. China is Pakistan’s major defense and trade ally. China has major investments in much of the country including the UN-declared disputed region of Gilgit-Baltistan which borders Xinjiang. In Gilgit-Baltistan, China is involved in the construction of large-scale dams, telecommunication development, mining and port management. It is constructing highway and railroad systems between Xinjiang and the port cities of Karachi and Gawadar. This corridor will enable the flow of Iranian fuel northward into Xinjiang as well as Kazakh and Russian gas into Pakistan. Both the Chinese and Pakistani governments characterize these efforts as revolutionizing economic development of Pakistan. Despite these rosy claims, many such projects have led to increased insecurity and confrontations between the Chinese and the locals in Gilgit-Baltistan. One such skirmish broke out on July 5  over control of a dry port joint venture between the Sino-Trans Chinese Company and the Sost Dry Port Trust. The trouble began when the Gilgit-Baltistan court ordered the reluctant Chinese officials to transfer port authority to the newly elected local chairman, Mr. Zafar Iqbal. According to Mr. Iqbal, a Chinese national, Mr. Ju Yi, attacked him with a knife causing chest injury, after he arrived at the port office. Demonstrations erupted in Sost after the incident as local leaders and shareholders demanded stern action against the Chinese official. Given the importance of its relationship with China, Pakistan’s Prime Minister took notice of the situation at once and summoned both parties to Islamabad for talks. In the wake of the incident, heated accusations have flown back and forth. According to local attorney Zahoor Karim, the Chinese have failed to disburse port revenue to local shareholders for the past fifteen years. Port Director Mr. Ikramullah Beg, accuses Chairman Yang Jiamin of behaving as “the King of Hunza” and using port operations as cover for smuggling endangered wild life. According to the local newspaper, Daily Baadeshimal, Chinese firms violate local laws and have failed to contribute to regional development. Babajan Hunzai, a prominent local politician, challenged China’s control over the port and accused it of behaving as the imperialist East India Company. He declared the port a national asset of Gilgit-Baltistan and demanded royalties for all locals. It is clear that there is brewing tension between the state sponsored Chinese presence and local rule. These conflicts between Chinese firms and locals of Gilgit-Baltistan are not new. Locals assert that the core issue is a lack of enforcement and the loosening of regulations for the Chinese by Pakistani authorities. As China pays its political and economic dues in Islamabad; there is an expectation that the cooperation of the people of Gilgit-Baltistan is implicit in the bargain. Yet, this bargain denies the people of Gilgit-Baltistan fair representation from their own government and media against a foreign entity intent on usurping local resources. Locals call for a strong judicial system to enforce labor and resource ownership laws against foreign investors. Greater political autonomy to determine capital management and trade matters allows local ability to negotiate fair agreements with investors. The challenge faced by Chinese enterprise in Pakistan may well be an opportunity to move its exploitative development model towards sustainable participatory practices which strengthen local production systems and human resource. Locals support investments in solar, wind and medium scale hydel projects to create a sustainable labor market and a much needed energy source for existing and future industry with low environmental impact. This will promote modernization of the agricultural, cottage and tourism industry and enhanced manufacturing and retail business. By developing strategies which focus on skills training and value added goods rather than export of raw material, China stands to create local sustainable jobs and communities where more than half of the population lives below the poverty line.